By now, most everyone has heard the breakfast is the most important meal of the day. But the hardest part for a lot of people is having the time in the morning to actually make and eat breakfast. 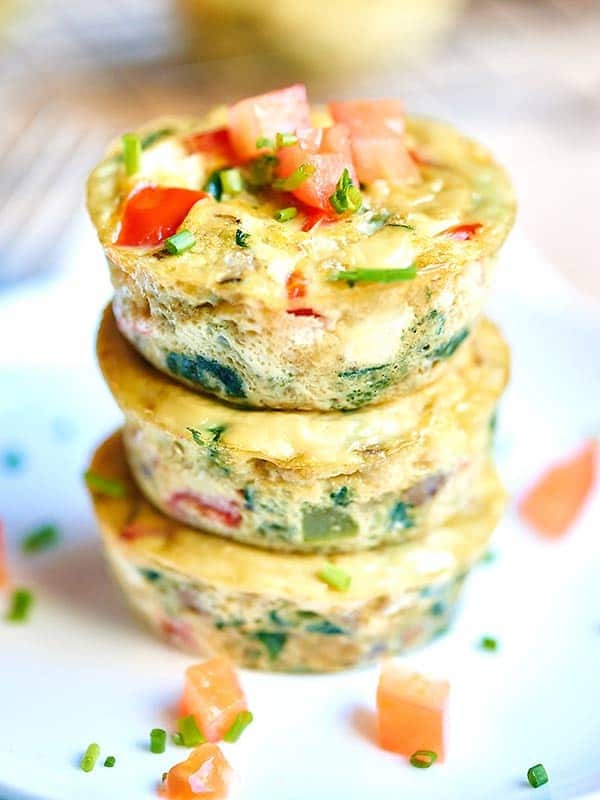 Well here is a great recipe that can be made ahead of time and kept in the fridge for a quick and easy health packed breakfast. Add garlic, salt, and pepper to taste. Remove from heat. Pour mixture evenly into muffin tin, and bake for about 15 minutes, or until tops are firm to the touch. These muffins come to around 50 calories each, and can be stored in the fridge for about 4 days, or frozen. This recipe can also be adapted to whatever you have on hand in the fridge. If you want to add in tomatoes, leave out the onions, anything is fine! Just make sure it is loaded with veggies! Feel free to top with fresh salsa, hot sauce, or any other of your favorite healthy toppings. Happy Eating!